The alarm went at 4.55am this morning because I’m off to Switzerland. A desperate time to get up, I feel like anything pre-5am is really quite uncivilised. But I’m going to a spa for six days of health and skiing so I’ll probably be alright. 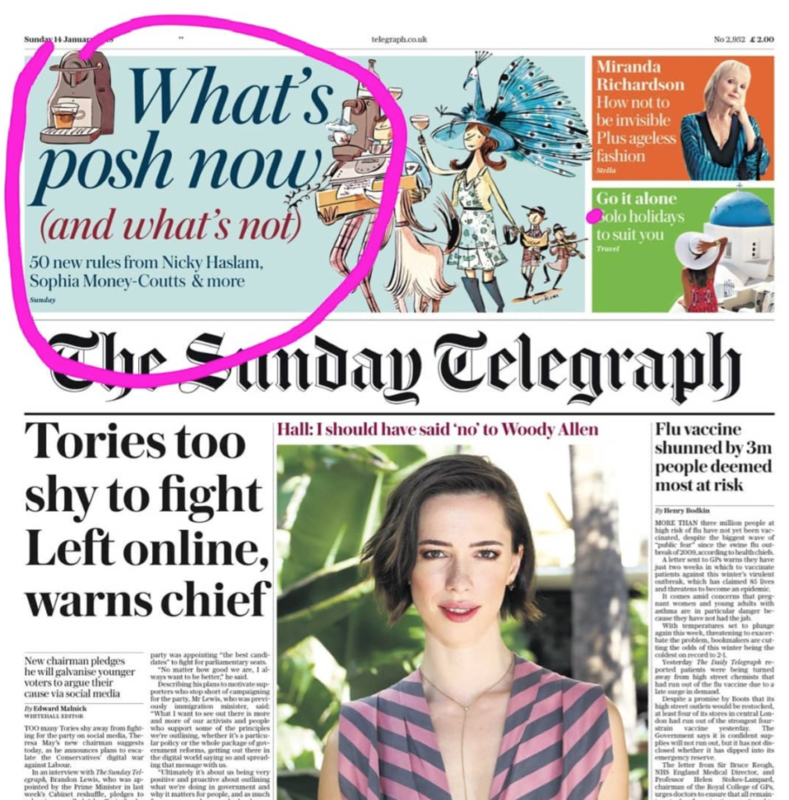 No column today because I’ve written a big piece about what’s posh and what’s not posh for 2018. 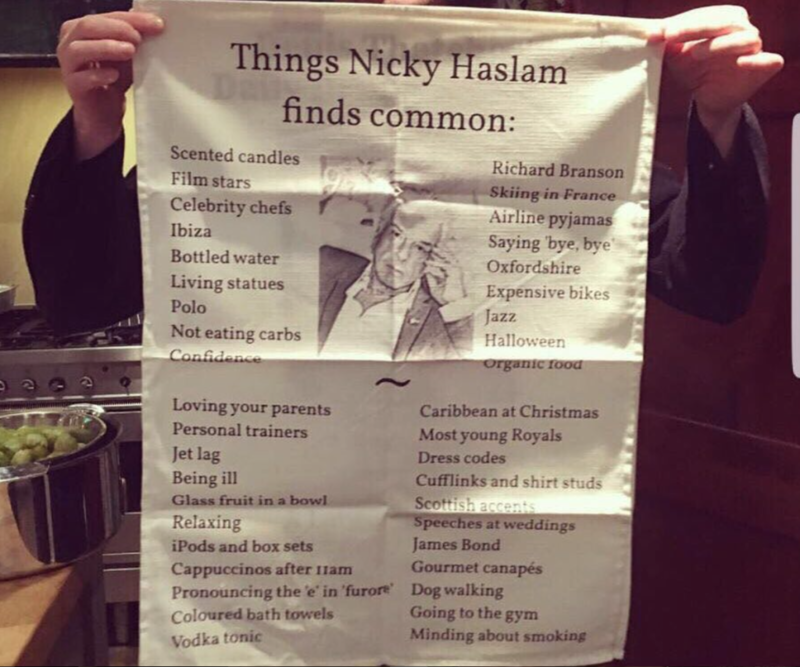 This idea was sparked by Nicky Haslam’s viral tea towel (not a euphemism, see below), so I badgered Nicky for more thoughts and THIS piece is the result. If YOU’RE one of those people that leaves little bags of dog poo hanging in a tree then you should think about a shrink.